We are 5 people in the SEAS R&D team. Product development involves more or less the whole company, so we are working closely together with our mechanical department, our production team and the marketing team. Håvard is our Product manager. Håvard has a Masters degree in acoustics from the Norwegian Technical University in Trondheim (NTNU). Diego is a telecommunications engineer from Spain, with a masters degree from NTNU in Trondheim. He came to work for SEAS Autumn 2010. Diego is passionate about music and high quality sound reproduction. He plays the bass guitar. Terje is an experienced Inventor user with an eye for details. Besides technical drawing and construction engineering, Terje is maintaining the systems we need in order to build drivers in perfect condition. Jorge is a telecommunications engineer from Spain, and he completed his masters studies with a master thesis in acoustics at DTU in Denmark. Jorge joined our team at SEAS in November 2017. 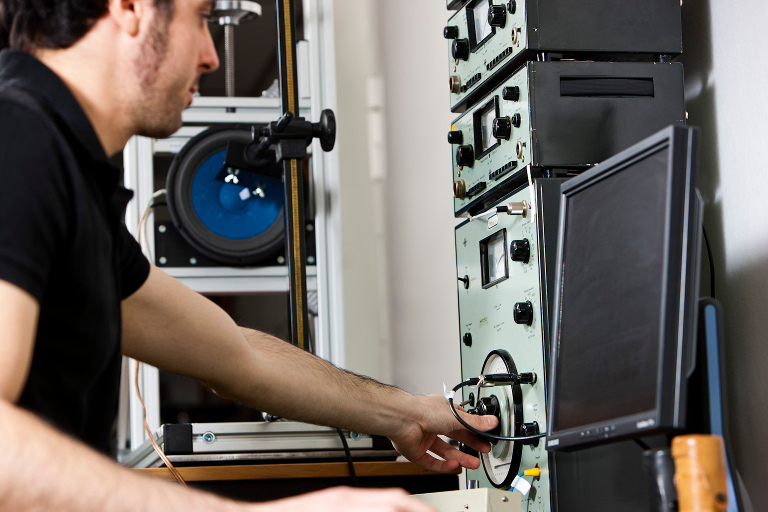 He has several years of work experience gained at one of the leading companies in the audio industry. Jorge enjoys music, nature and outdoor activities.